AudiovOx: The new album by Mic Bles brings a refreshing take on the authentic Boom-bap sound that we’ve all grown to love. The album is reminiscent of a Golden Era Hip Hop classic, which features a few Hip-Hop vets such as RasKass, El Da Sensei (Artifacts), Pacewon & Dj Romes and MED plus gritty and smooth production combined with classic samples and cuts throughout. The Lead single "Pay Homage",featuring the legendary lyricist Ras kass leads the way & sets the tone for the album. Ras always delivers stellar bars but Mic Bles brings his “A” game as well as both Mc's show their love & respect for the pioneers that paved the way for the culture we love! The best part of hearing the album is that’s its 100% authentic quality hip hop. Mic is true to the music, the culture and most importantly himself. With many different routes to take when adapting a musical tone in hip-hop, it’s often refreshing to take things back to basics. 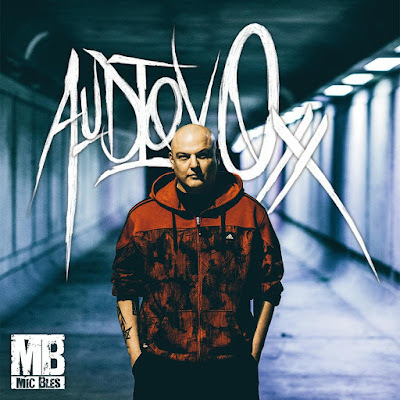 AudiovOx brings back solid substance focusing on tight lyricism on hard hitting production. Hip Hop is all too encompassing and too massive a culture to be pigeonholed to a singular sound, but if there was ever a definitive sound for the genre then dammit this is it! !